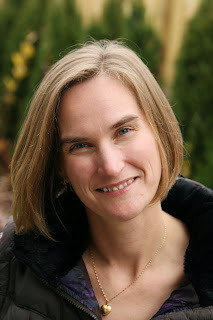 TLS Paperbacks and Jewelry Winners! Guess what guys? 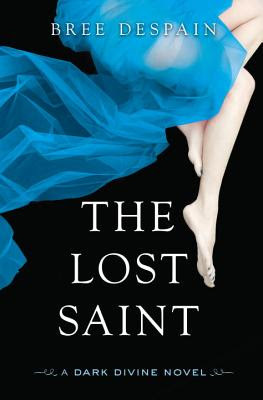 Today is THE LOST SAINT's paperback birthday! You can get them here, or here, or here, or anywhere else books are sold. BUT, if you would like a signed copy you can place an order with The King's English and I will happily run on over there to sign it before they ship it to you. Just let them know you would like a signed copy and they'll give me a buzz. And that goes for any of my books. Okay, on to some business. It's time to announce the winners of the Infinite Jewelry give-away (thank you all who entered and especially to those who helped spread the word). So, between the blog and facebook, there were just over 81 individuals who entered the contest and well over 100 entries. So, so close to 90. But since it's TLS's birthday, I figure I may as well give away three pieces right? Maidenveil won a moonstone pendent. MaCayla aslo won a pendent. And since I don't want to ring to feel left out, here's a picture of that too :D.
Winners be sure to email me at readbree(at)gmail(dot)com with your mailing address to claim your prize. If I do not hear from you in 30 days, I will assume you do not want your gift and I will find someone else who does. Oh! Also, please don't forget that the fundraiser for Kids Need To Read is still going on until June but the contest ends on Nov. 30th. Don't know what I'm talking about? Read more here. That's it for now. So, what are your plans for Thanksgiving? I'll be stuffing myself with turkey, trying my best to avoid gluten, dairy, egg landmines. It'll be an adventure. Then I get to have family over on Saturday... which means much cleaning must be done. I'm thinking I'm going to make hubby do it, since it's his family and all. Is that justified or deviously mean awesome? I can't decide. I've got something fantastic for you all today . . . but first a little bit of business before I get to the shiny, fun part. 1. Please don't forget about the fundraiser I am hosting for the wonderful folks at Kids Need To Read. You can purchase the eBook version of THE LOST LETTERS OF BROTHER GABRIEL (A Dark Divine Original Story) for only $1.99, and all of my proceeds will go to #KNTR--helping to provide books to underprivileged libraries and schools. For more details, and how you can win fabulous signed books by spreading the word, click HERE. 2. THE LOST SAINT paperback comes out on November 22nd, 2011!!!! We are getting so close! The paperback includes some fun extras and has a new cover (different than the hardcover) so you won't want to miss it. In anticipation of the release, Amazon is currently offering THE DARK DIVINE eBook for only $3.99! 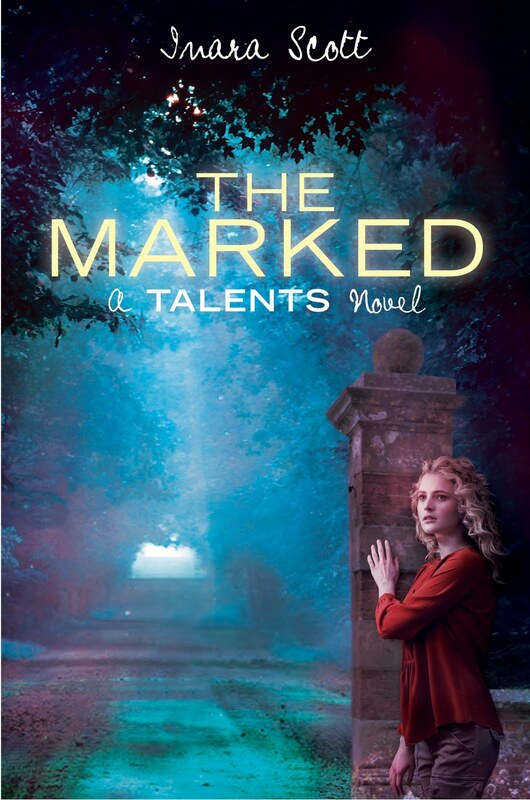 That way you can brush up on the first book before the sequel come out in paperback. 3. I've been told that Egmont USA is running a month of contests and giveaways in order to get ready for the paperback of TLS. Click HERE to find out more. I've been working closely with the amazing ladies at Infinite Jewelry Co (the official jewelers of TWILIGHT) to design and create jewelry pieces that look just like the rings, bracelets, and necklaces depicted in the DARK DIVINE trilogy. And now, after over a year of planning and designing, Infinite Jewelry Co is pleased to present the official DARK DIVINE jewelry line! INTRODUCING…The Dark Divine series of amazing, trend-setting jewelry! We are happy to present the new line of jewelry based on the incredible books, The Dark Divine trilogy, by Bree Despain! We have worked closely with Bree to bring to life the jewelry she envisioned as she wrote. We hope that you will love wearing your very own tangible connection to The Dark Divine trilogy! BUT OF COURSE THERE'S MORE . . . 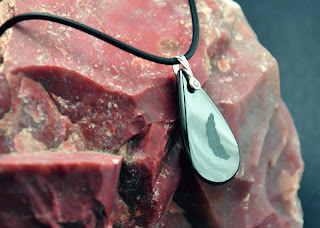 I am so excited about this jewelry, that I've decided that I need to throw a contest in order to celebrate! Which means I am going to be giving away a few pieces of jewelry to some lucky winners! 1. Right now, there are three different jewelry pieces available in the Dark Divine line (with more to come after the publication of THE SAVAGE GRACE). Each piece is available in both "classic" and "signature" additions. Today, I am only going to show you my favorite piece, and then make you go find the other two pieces so you can decide which one is your favorite. So what's my my favorite TDD jewelry piece? I LOVE them all, but the Black Moonstone Necklace is especially awesome and unique. It's just like how I imagined Daniel's moonstone necklace--It even has a crescent moon carved in the middle! It comes on either a cord (like Daniel would wear) or on a delicate chain (like how Grace wore it). 2. Now it's your turn to check out all the Dark Divine jewelry and decide which one is your favorite. 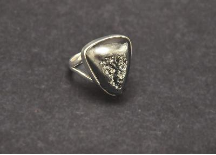 Click HERE to be taken to Infinite Jewelry's website so see all the awesome for yourself. 3. To earn your first entry in the contest, be sure to come back here and tell me in the comments of this post which piece is YOUR favorite. 4. You can earn additional entries by blogging our tweeting/facebooking about the contest and sharing the coupon code. Be sure to share coupon code 031312 with your followers so they can also receive a 10% discount (between Nov. 15 & Dec 15, 2011). You can earn +2 entries for a blog post, and +1 entry for either a Facebook post or a tweet. Only 4 entries per individual are allowed. 6. And the best part is: I will be giving away 1 piece of "classic edition" jewelry for every 30 INDIVIDUAL PEOPLE who enter the contest. That means the more people you get to enter, the more pieces I will give away!! ** For the purposes of this contest, I am giving away the "classic edition" pieces only. 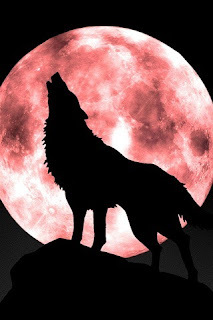 Once again the full moon is upon us. Which means, once again it is time to celebrate my favorite werewolves and the fact that it is only 4 months until the release of THE SAVAGE GRACE. I am especially excited because today's extravaganza is not only something super cool for fans of the DARK DIVINE series, but also will go to support a cause I am passionate about. So what is it you ask? EGMONT USA has released an eBook version of THE LOST LETTERS OF BROTHER GABRIEL (A Dark Divine Original Story) for only $1.99! Brother Gabriel, Daniel’s mentor and an ancient Urbat, plays an important role in The Lost Saint as well as the upcoming conclusion to the Dark Divine trilogy, The Savage Grace. We were first introduced to Gabriel in The Dark Divine when Grace recieves a book of ancient letters that Gabriel (a young monk at the time) wrote to his sister during the Crusades, detailing his search to know more about the Urbat. The book of letters ends just before Gabriel falls to the Urbat curse, leaving us to wonder what happened to him in the following years to turn him into the man he is today. As many of you know, I spent a summer in college writing and directing plays for underprivileged kids from New York City and Philadelphia. It was one of my most cherished life experiences. One I can look back on and pinpoint as literally life-changing. I had grown up in a fairly safe and average middle-class neighborhood all my life, and to be a part of helping kids who had to struggle so much just to have a portion of the quality of life I had enjoyed as a kid, was not only an eye opening experience, but it was humbling as well. One of the things that I learned the most from this experience was how important reading and stories are for helping kids, teens, adults . . . everyone find a place in this world and encourage them to help others do the same. This is what made me re-commit to my dream of being an author. Ah, Nathan Fillion. I love that guy. Remember when we fan-casted him to play Pastor Divine in a TDD movie? That'd be beyond cool. 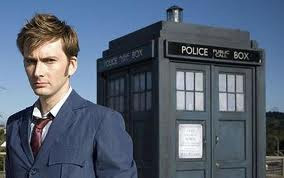 Ok, enough daydreaming because . . . I want as many people as possible to know about this fantastic organization and their mission, so I am offering a signed book prize pack to anyone who helps spread the word about THE LOST LETTERS and how the proceeds will be donated to KNTR. 5.) 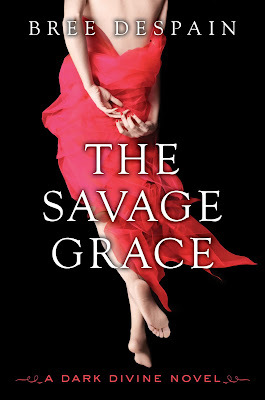 THE SAVAGE GRACE (ARC) by Bree Despain... or, you know... me. Blog, tweet, facebook, yell down the street, call your mom. Ok, the last two are great, but won't work for the contest. Just tell people about THE LOST LETTERS eBook and KNTR fundraiser. Then come back here and show me what you did (with links). One entry per person, but the more you do, the more money you help raise for KNTR. But as an extra added bonus, I've decided to give an extra entry to the first 10 entrants. Give-away ends November 30th. I will then pick the winner via Random.org and announce it on or before Dec. 2nd here on the blog. If it's you, then you will have 30 days to claim the prize by emailing me your shipping address. If it is not claimed by then, I will assume the you do not want the prize and will pick another winner. Seriously, I'm really excited about this. Please help me make it awesome and help put some great books in the hands of some great kids. Oh, and don't forget to buy THE LOST LETTERS either here, or here, or you can get it in the iBooks store from your iPhone/iPad/Mac, or anywhere else eBooks are sold. Go forth and share the joy of reading! P.S. FYI, in preparation for upcoming release of the paperback edition of THE LOST SAINT on November 22nd, the eBook version of THE DARK DIVINE is now available on Amazon for only $3.99!! I need your help. The US paperback edition of THE LOST SAINT comes out on November 22nd and we are asking YOU to help us choose the cover. Over on the Facebook fan pages for THE DARK DIVINE and THE LOST SAINT we have posted the original cover that appeared on the hardcover edition, and the shiny new cover concept below. Head on over to Facebook by clicking HERE or HERE and pick your favorite cover by liking the corresponding post. May the best cover win.